Thanks to visit us at Interpack 2017 - Jiabo Machinery Co., Ltd. 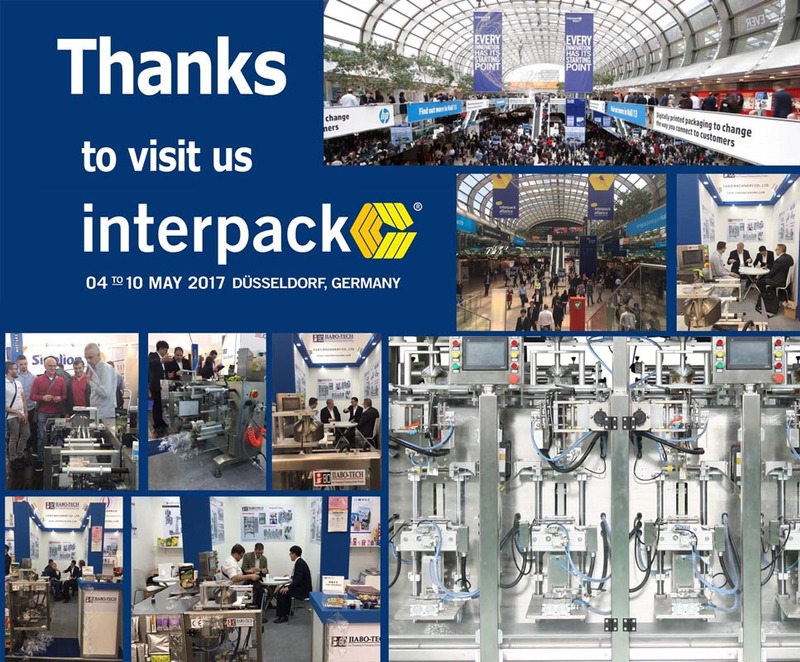 It is our greatest honor to have you visited during the interpack 2017, thank you so much! We will work our best to build and supply the good quality machines and the very best aftersale service, see you next packing show. The avid interest taken by exhibitors in the run-up to interpack 2017 that brought the world’s biggest and most important trade fair of the packaging sector and related process industries record attendance of 2,865 companies, was followed by trade fair days from 4 to 10 May with high spirits and further records: 74% of the approximately 170,500 visitors travelled to Düsseldorf from abroad- three quarters of them were decision-makers. The high percentage of German and international top-notch experts from atotal of 168 countries made for highly satisfied faces among exhibitors,who delighted at promising business contacts and even concrete deals concluded in the seven-digit range. Visitors in turn benefitted from an internationally unrivalled multitude of innovations on display and a unique market overview. This was also reflected in the corresponding high scores they gave the trade fair: just under 98% stated in the official survey that they were satisfied or very satisfied with their visit to interpack 2017. They took an interest in all ranges and segments of interpack but packaging media received significantly more attention than at the previous event. "interpack is an absolute must-go event for companies in this industry and provides unique momentum. Every three years it is not only a one-of-akind performance showcase but also the place where suppliers and customers from all over the world get together to network and do busines,"underlines Friedbert Klefenz, President of interpack 2017.